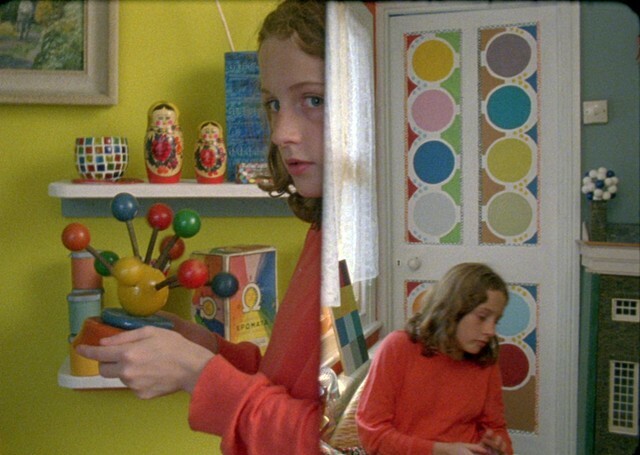 Astrid Doubles is the fourth in a series of films featuring Astrid, which document her in different constructed spaces over the tween-ages of 7 to 10. Here the artist and her young collaborator experiment with camera masks using a matte box. Astrid's performance takes place this time in a playroom, acting as herself in a miniature stage. Filmed over one day, the script is written as they go along and authorship is shared, as direction comes from in front of as well as behind the camera.